Joint Cooperation with Uruk Company. 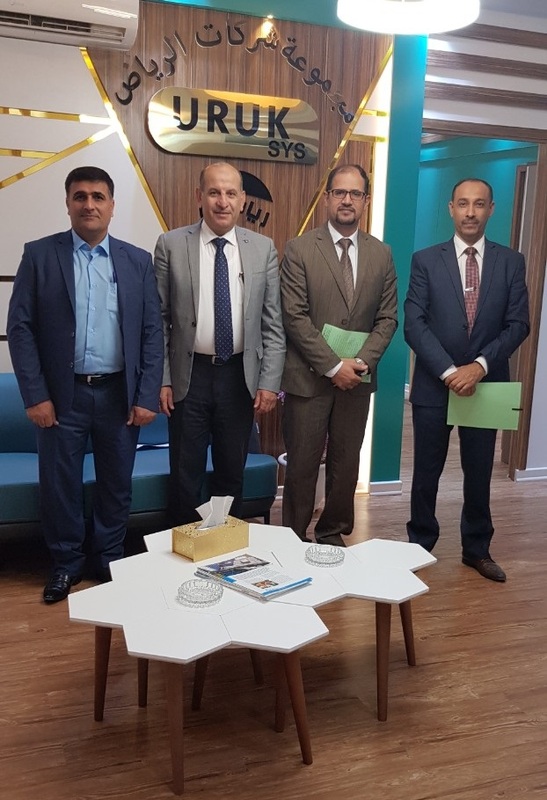 The Deanship of the Faculty of Engineering at the University of Information Technology and Communication discussed ways of cooperation with Uruk Engineering Systems. During the visit, they discussed means of cooperation between the college and the company in the field of scientific research in the applied projects that address the real problems in various fields (communications, renewable energy, internet, networks, information technology and applications of mobile phones). Supplies and devices as well as the possibility of training the students of the College in the Uruk Engineering Systems Company. The two sides agreed to prepare a memorandum of understanding that would strengthen the cooperation frameworks and formulate their final features in order to improve the practical and research aspects of the college students.